Hi guys!So sorry for the lack of posts during past week. I've the busiest week ever. Anyway I had a nice and calm weekend, just trying to recharge my energy. 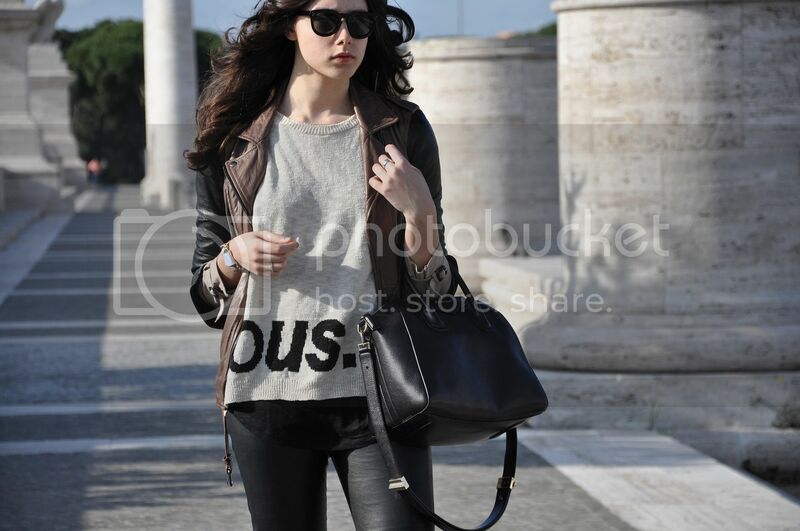 On Saturday I strolled around Rome with my mum and that's my outfit: leather pants, cotton sweater and no tights! Is Spring arrived? I hope so badly! I get enough of rainy, cloudy, wet weather in the past two weeks...Need sun and warm days!